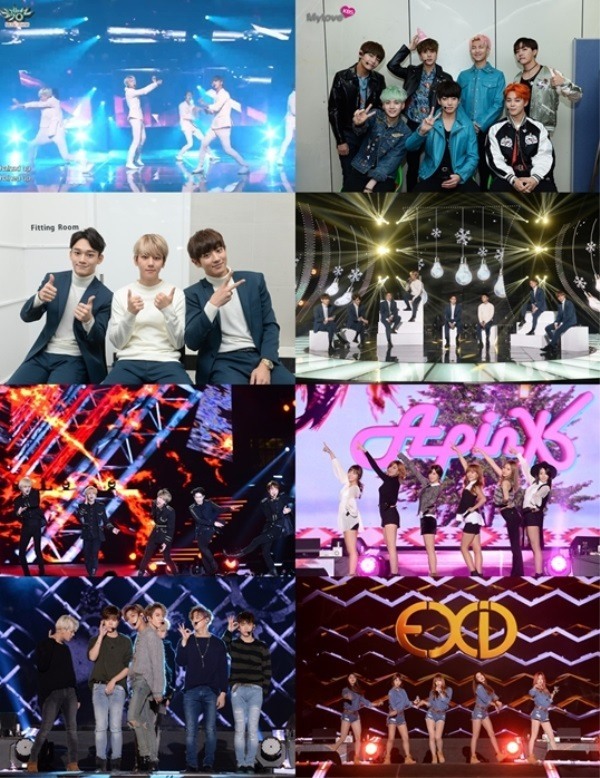 Starting from Wednesday, seven groups -- VIXX, BTS, EXO, SHINee, Apink, GOT7 and EXID -- will each go live on the app each day for a week to engage with fans and hold various events, raising anticipation for the upcoming award show. VIXX will kick off the star-studded preshow on Dec. 23 at 8 p.m. on the real-time app. At 7 p.m. on Christmas Eve, BTS will go live, while on Christmas day, EXO will meet with fans at 9 p.m. On Dec. 26 at 2 p.m., SHINee will appear, while on Dec. 27, Apink will go live at 7 p.m. On Dec. 28, GOT7 is set for the show at 8 p.m. and on Dec. 29, EXID will go for the last segment at 8 p.m. This year’s “KBS Song Festival” will take place at Gocheok Sky Dome at 7:50 p.m. on Dec. 30. The show will air on the KBS2 network. Naver’s real-time broadcasting app V allows fans to interact with their favorite K-pop stars through live broadcasts. The app is available for Android and iOS. For more information, visit www.vlive.tv.